yeh hai Hong Kong meri jaan! 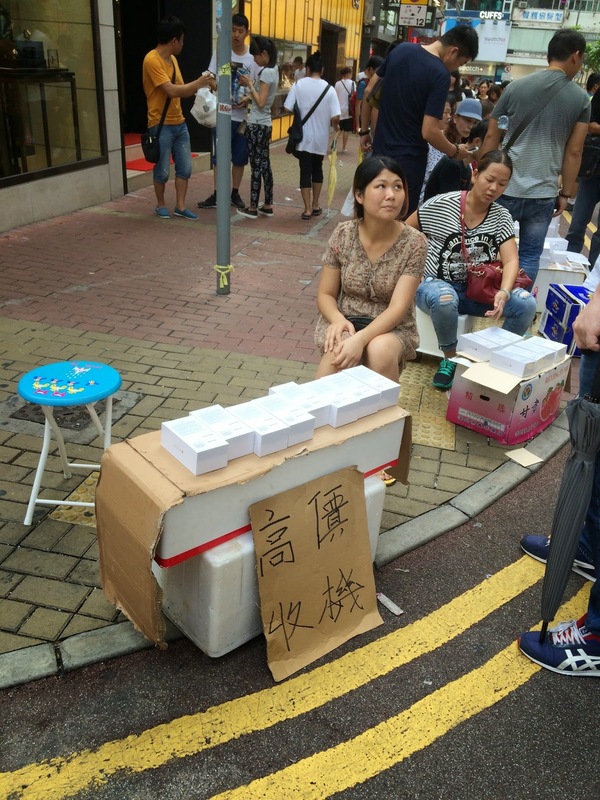 Selling iphone 6 on the pavements just outside apple store! So the shop is sold out but there are lots available outside. Only cash accepted 🙂 and obviously you pay more than the shop price. I think this is an overkill and this is an understatement! Exclusivity is such an important factor of a brand. But the moment every 3rd person has it, how far it will go and how far can it be stretched? And when goods are manufactured at this scale, is the premium price really justified? But frankly I think the wheel has begun to turn!